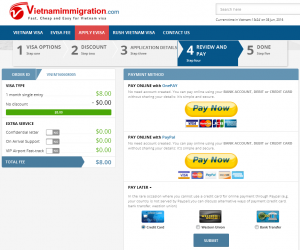 – Type of Visa: 1 month single entry….OR 1 year multiple entries visa. 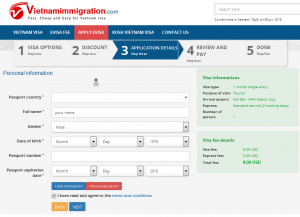 – Purpose of visit: Tourist purpose is for 1-3 month with single or multiple entries. Business purpose is available for all types. – Arrival airport: the airport where you land first is the one you will pick up your visa, you can choose one of the following airports: Noi Bai (in Hanoi city), Da Nang (in Da Nang city), Tan Son Nhat (in Ho Chi Minh city) or Cam Ranh (in Nha Trang city). 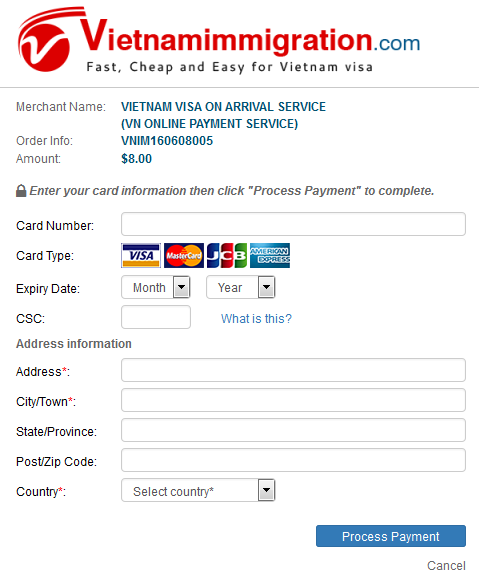 – Express service: if you need to get visa faster than usual, please select this option. Extra fee will be charged for this option. 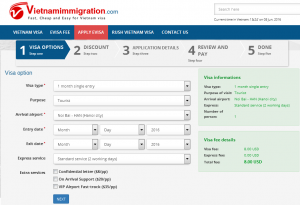 It takes 2 working days for us to make the visa letter with no extra charge. 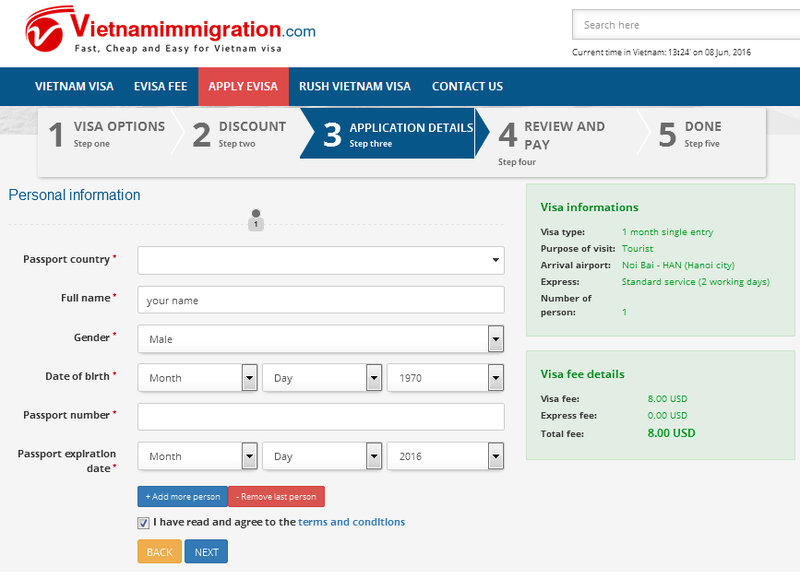 – Confidential letter: Because of the Vietnam Immigration Office policy, they list a number of people on the same visa letter, so we also offer private/confidential visa letter showing your name or your group in 1 letter without other names on your letter. But you will have to pay an extra 8USD/letter for you or your group. 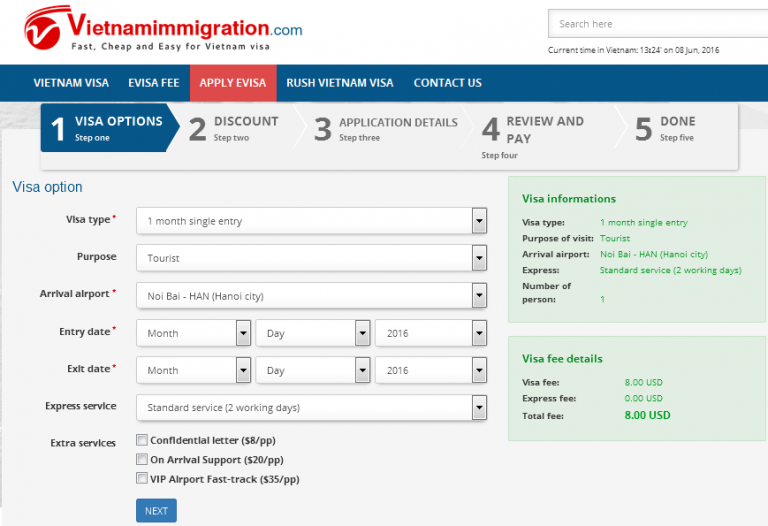 – On arrival support: Our agent will help you pick up your visa without queuing. You will need to give all the documents to our agent then sit and wait to get back your passport with visa inside, no need to queue up in the line. – VIP airport fast-track: Our agent will help you pick up your visa fast and pass the Immigration checking at the Passport control counter quickly. Then help you take your luggage and avoid the queue. 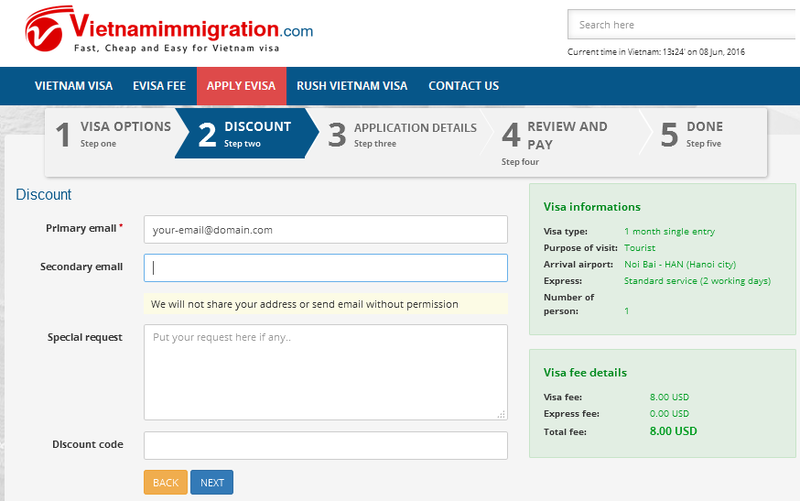 Step 2: Providing your email address to receive the visa approval letter. If you have a discount code or special request, please provide it to us as well. 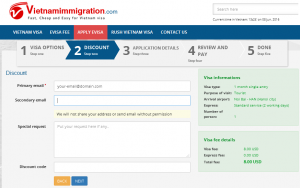 Notes: We will send the visa approval letter to you by this email address, therefore, please make sure it is correct. Step 3: Providing passport information of visa applicant(s) such as : the country of your passport, full names, gender, date of birth, passport number & passport expiry date. 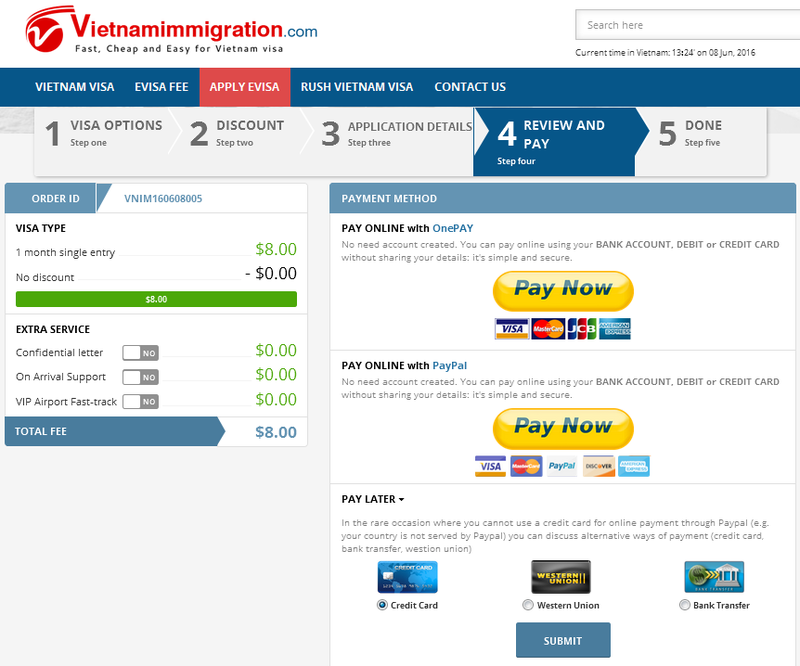 Step 4: Review order, choose preferred payment option & go to pay. – You will be redirected to PayPal payment gate if you choose PayPal option. If you are already a PayPal member, just login to complete the payment OR you can pay by Visa, Master, Discovery and Amex with PayPal directly without creating a Paypal account. – Or you will be redirected to OnePay payment gate if you choose option pay by cards cards (Visa, MasterCard, JCB Or Amex). 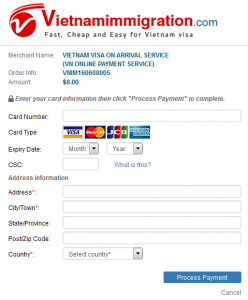 Onepay is the best Payment gateway in Vietnam. In case you want to edit your details, simple click on the grey button called “Goback to edit”. Please do not click back on your browser.